After some significant national press coverage, and being the talk of the place for a couple of weeks, we finally made an ayrshirehistory.com field trip to Ayr, to see the ice backed up for ourselves. 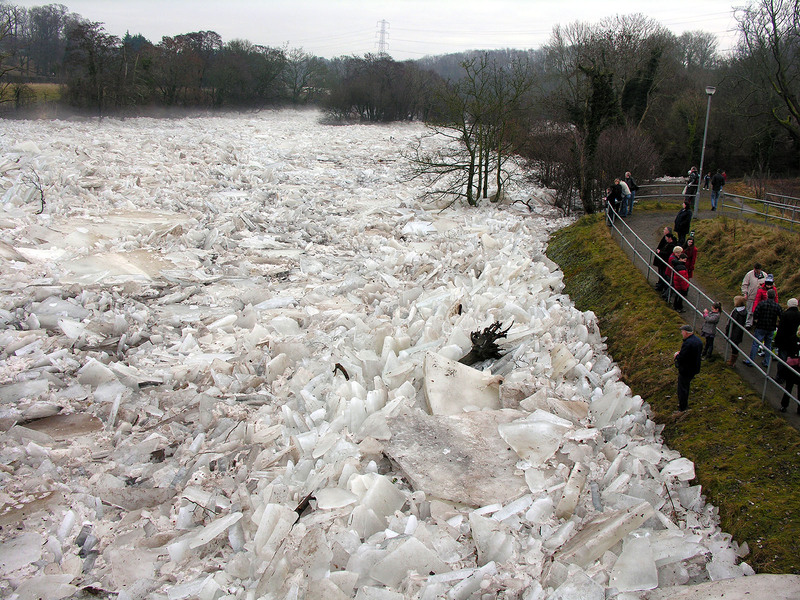 The sight was awesome, and thoughts of "Why didn't we get off our back sides last week" etc were said out loud more than once. 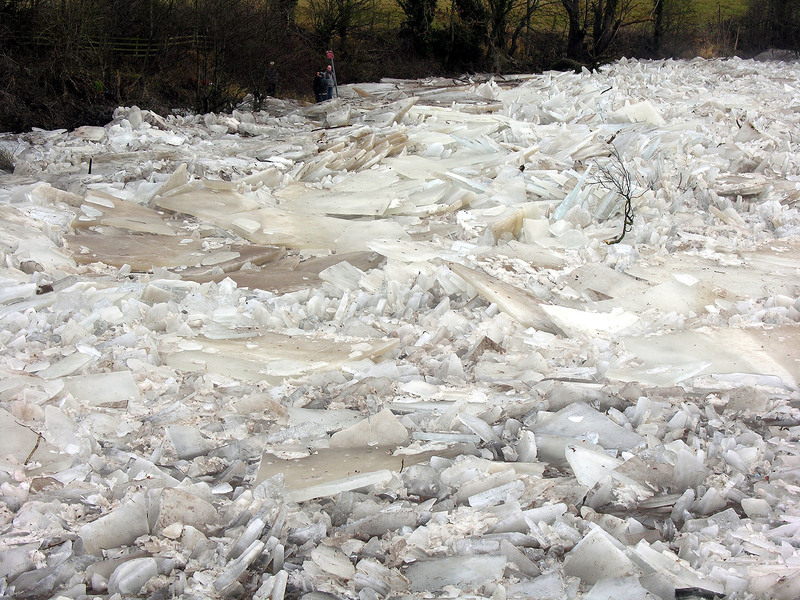 The ice at the bridge on the by pass is still the result of the first thaw from before Christmas, as pictured in the Ayrshire Post of 18th Dec. 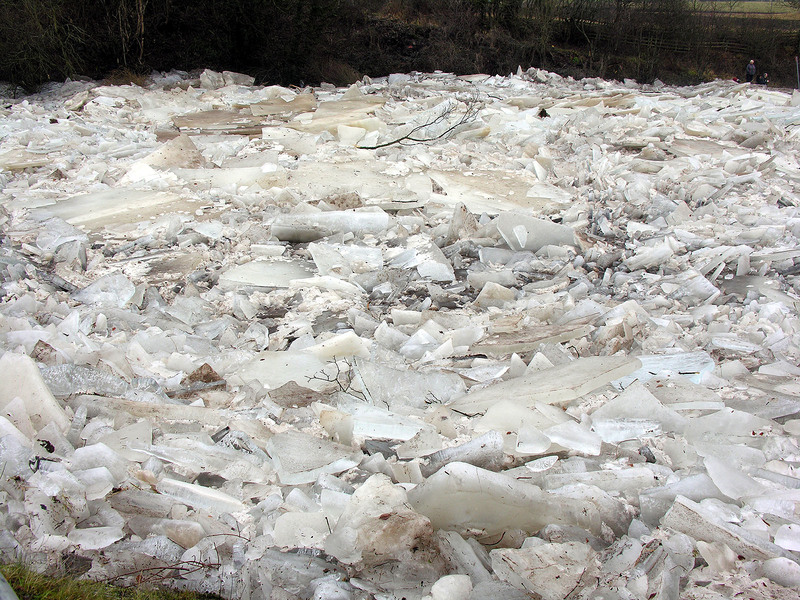 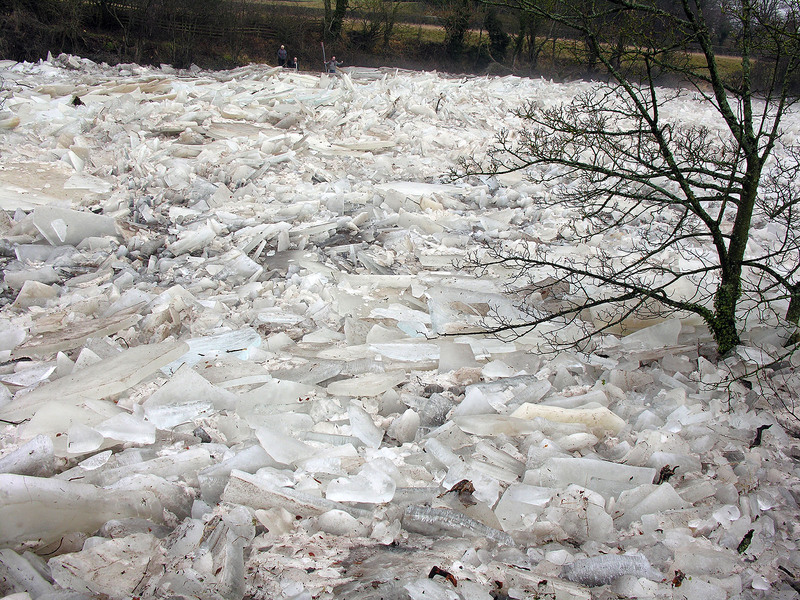 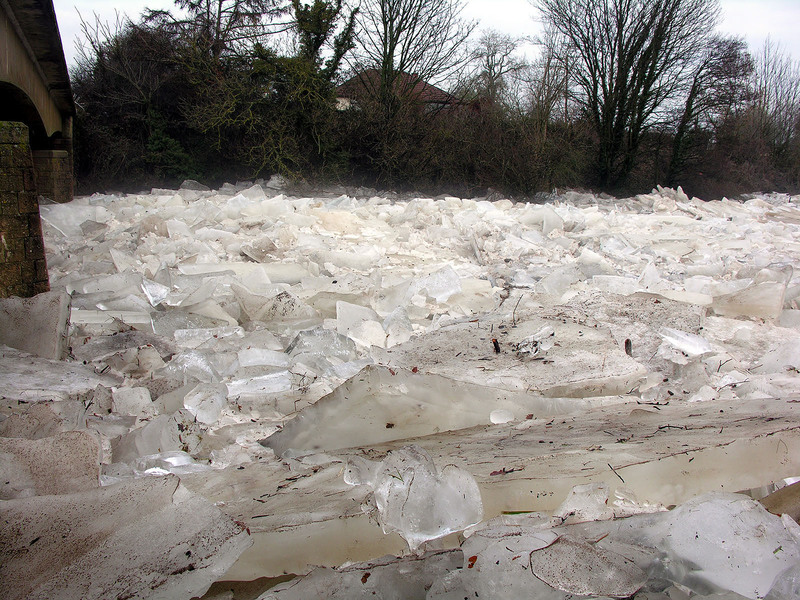 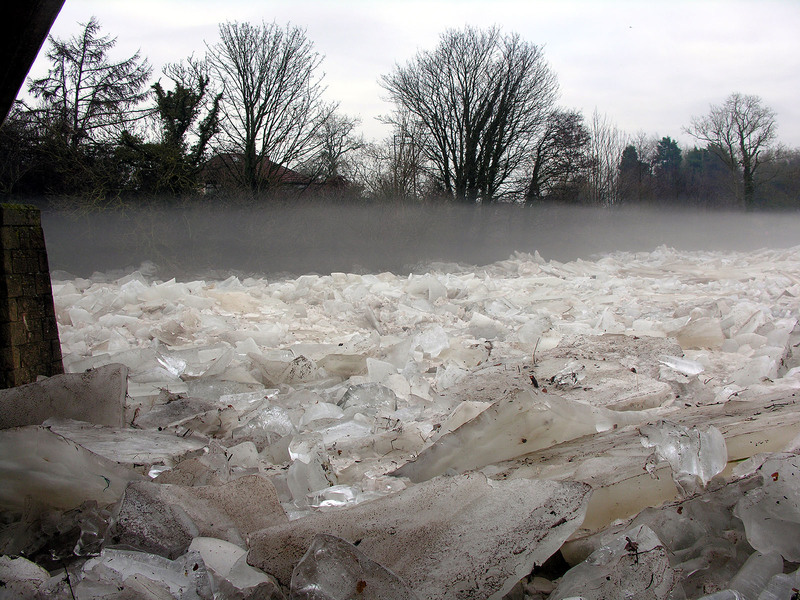 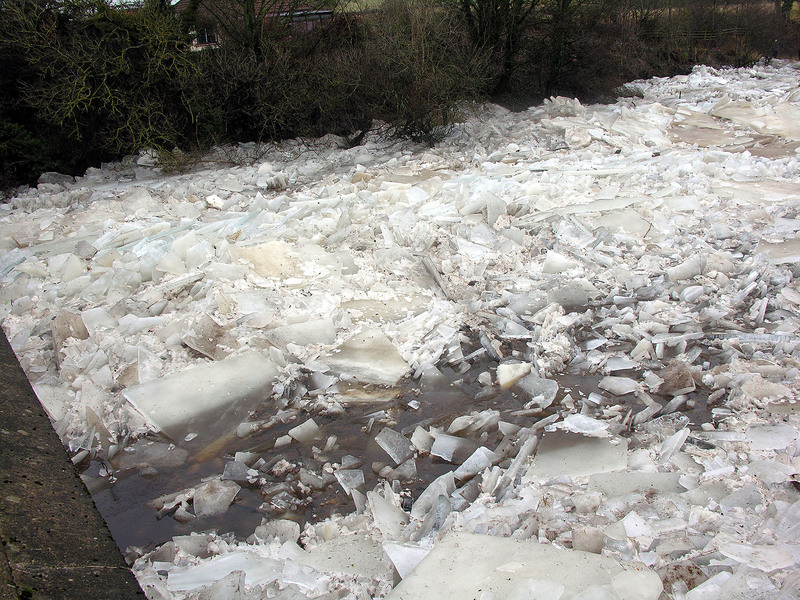 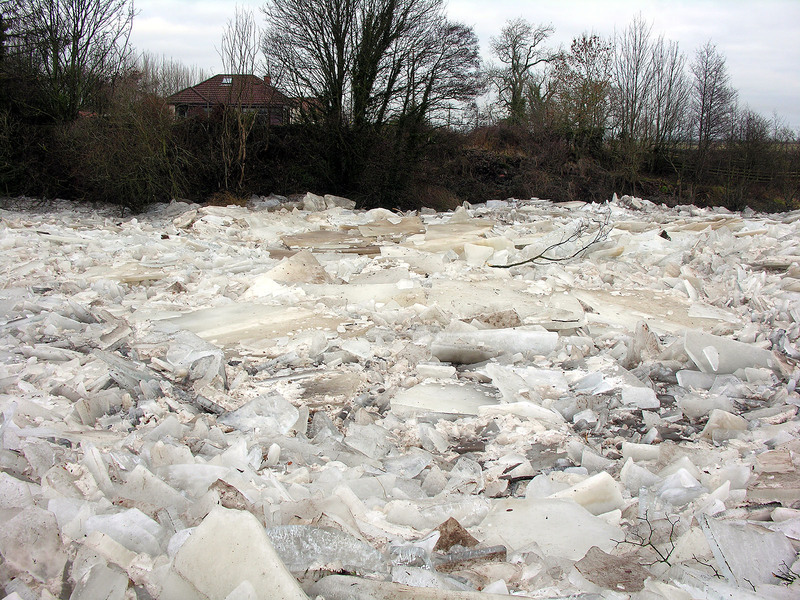 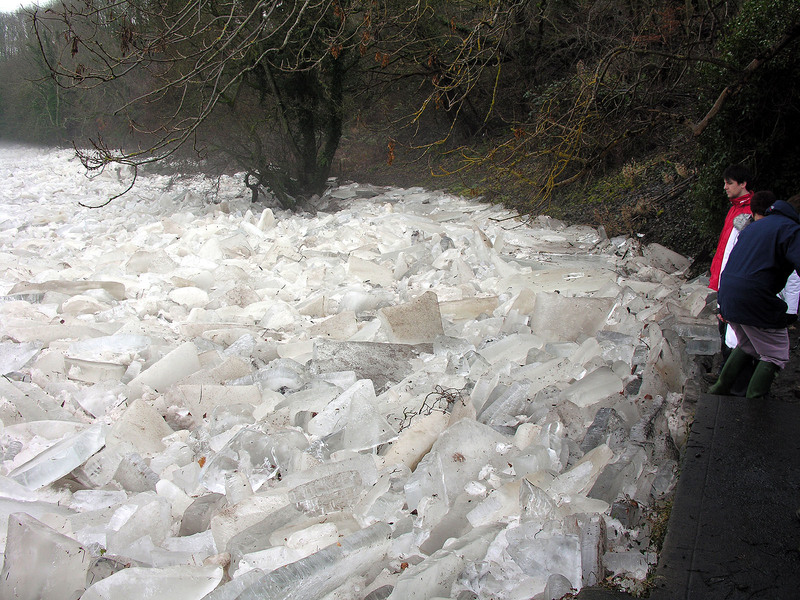 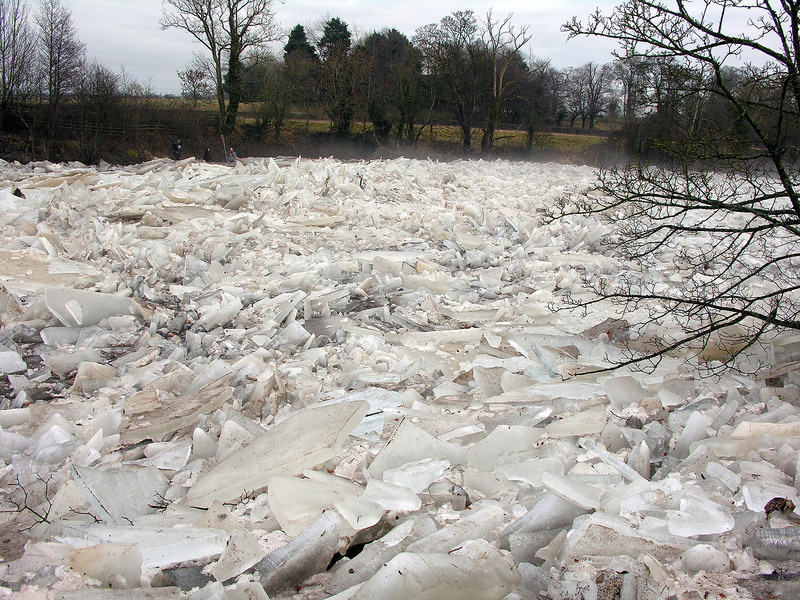 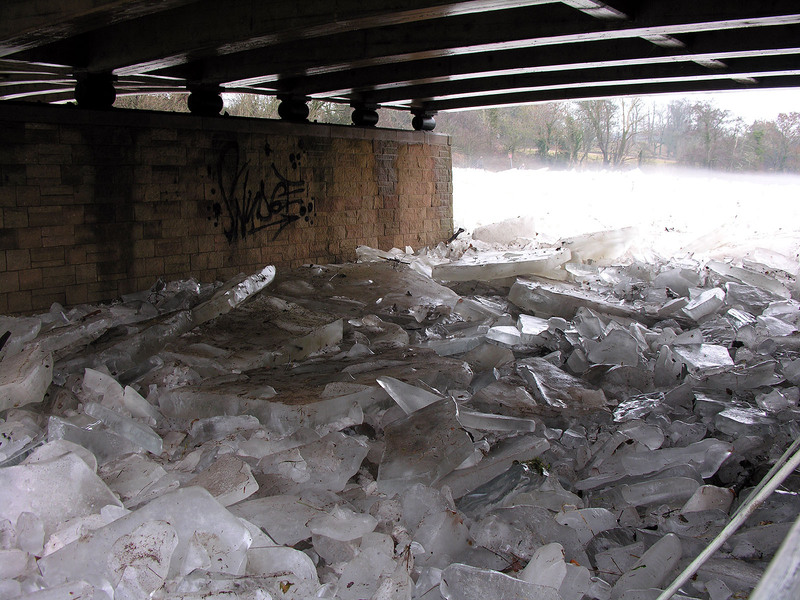 The ice which broke up in the early hours of Tuesday 28th must be stacked up way behind the first thaw. 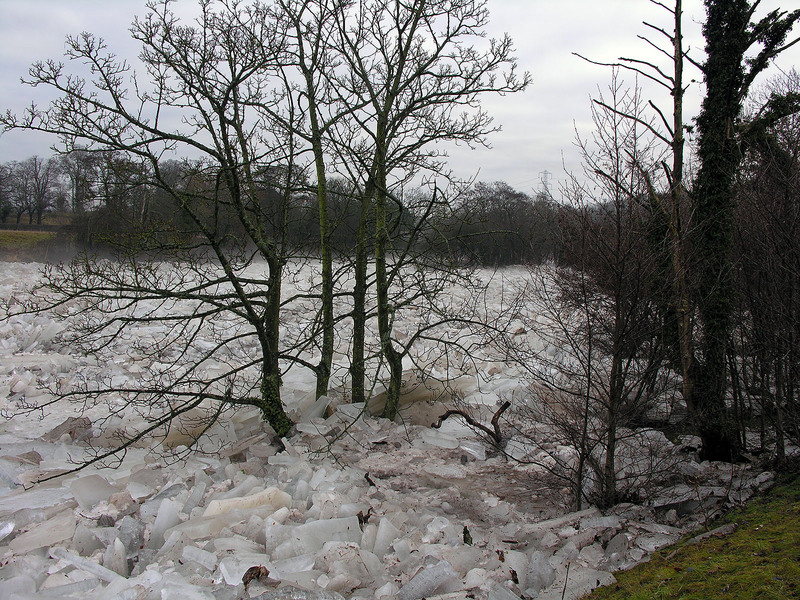 The area most stunning was the part of the River Ayr upstream from the by pass, at the stepping stones. 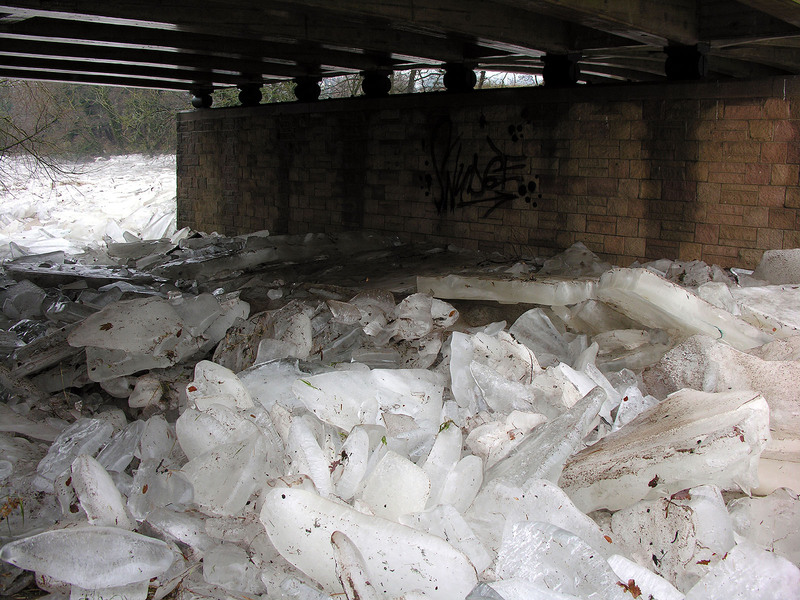 The ice dam seemed to go on and on and on. 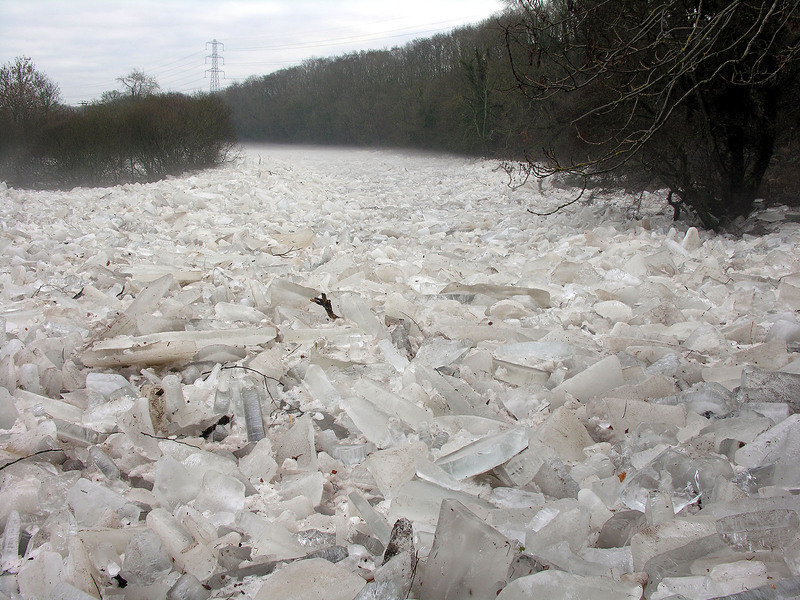 We ran out of path, mainly due to having simple footwear on. 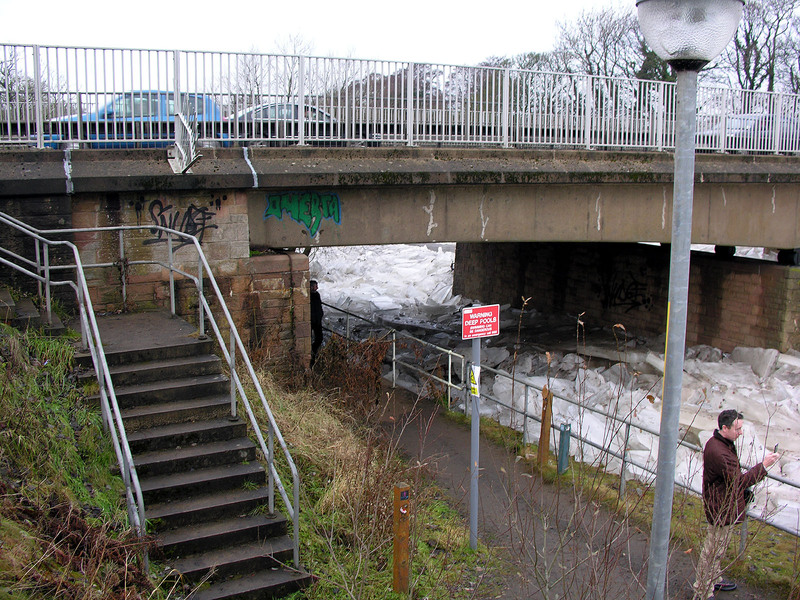 The River Ayr Way / Walk keeps to a minor road a little way from the river during its course from Auchincruive to the bridge at the by pass. 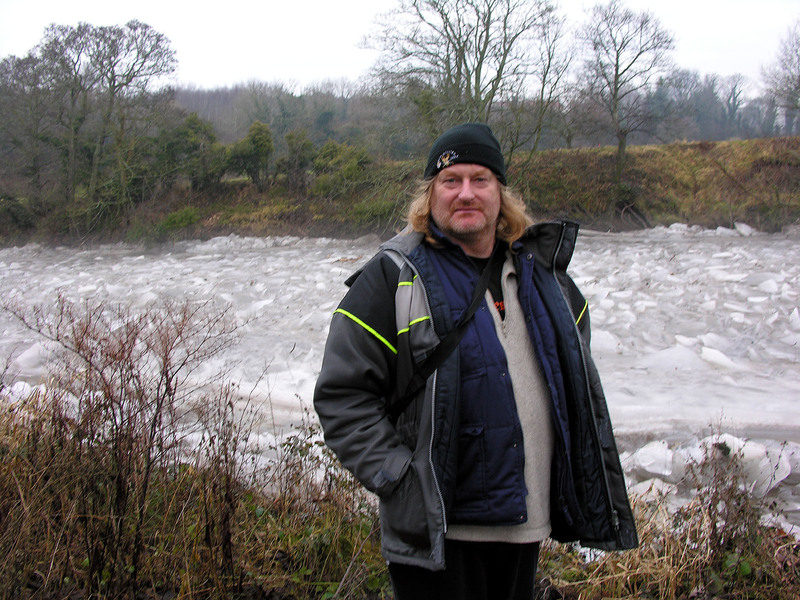 We had wrongly assumed that this part of the walk, which neither of us had done, was much closer to the river. 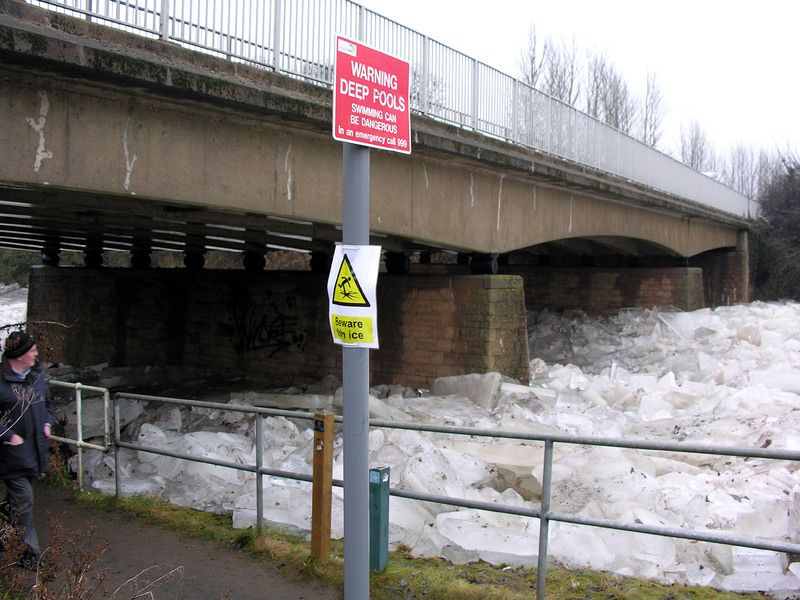 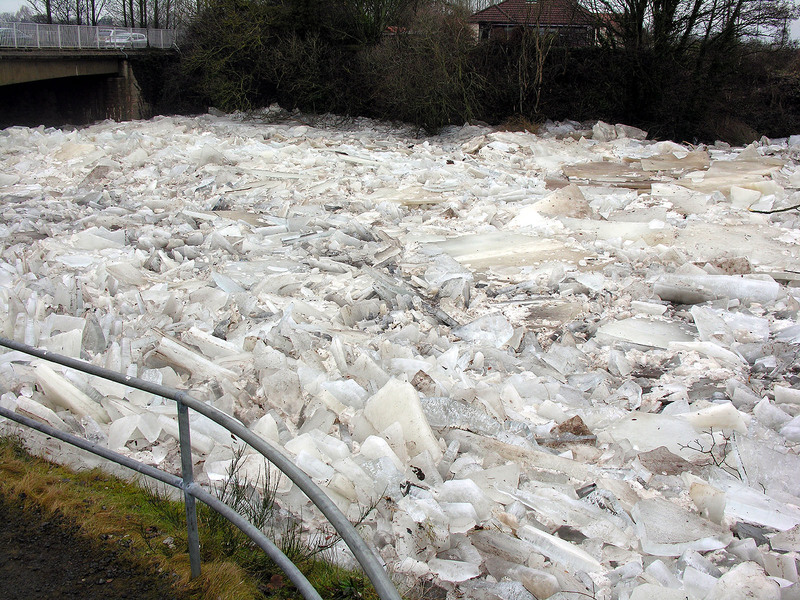 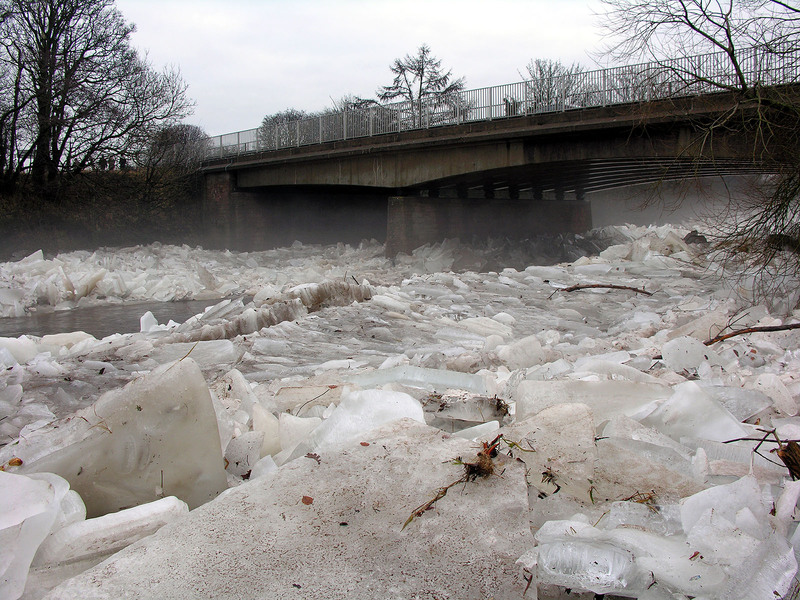 Last winter, there was plenty ice on the River Ayr upstream, but when the thaw came, there was an enormous amount of snow melting along with it. 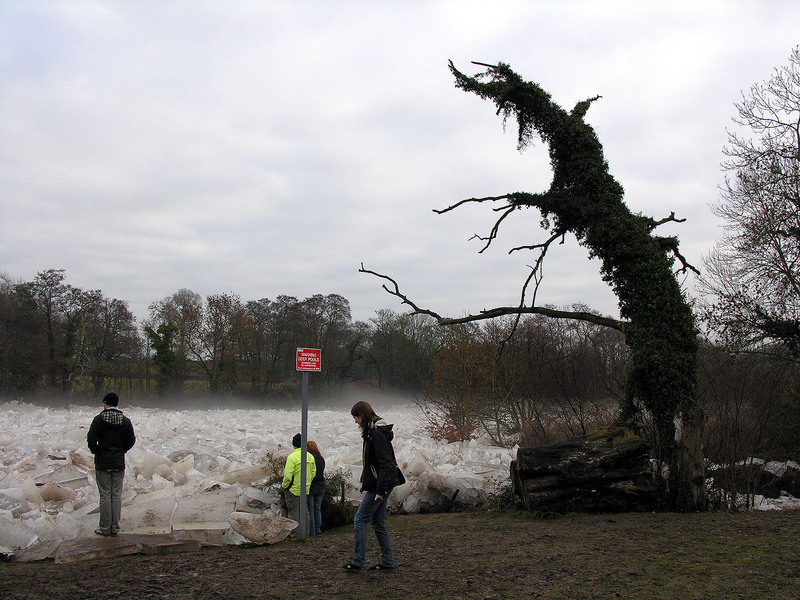 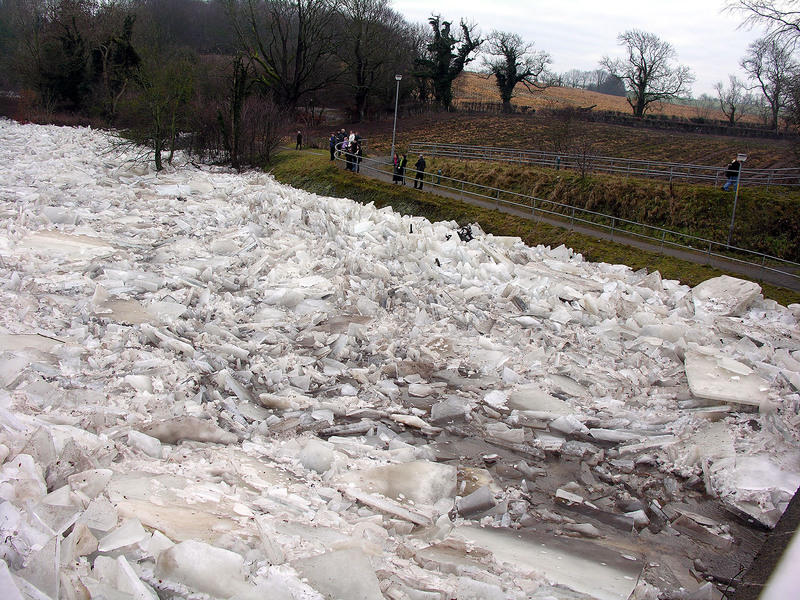 See the photos of the high water in January 2010. 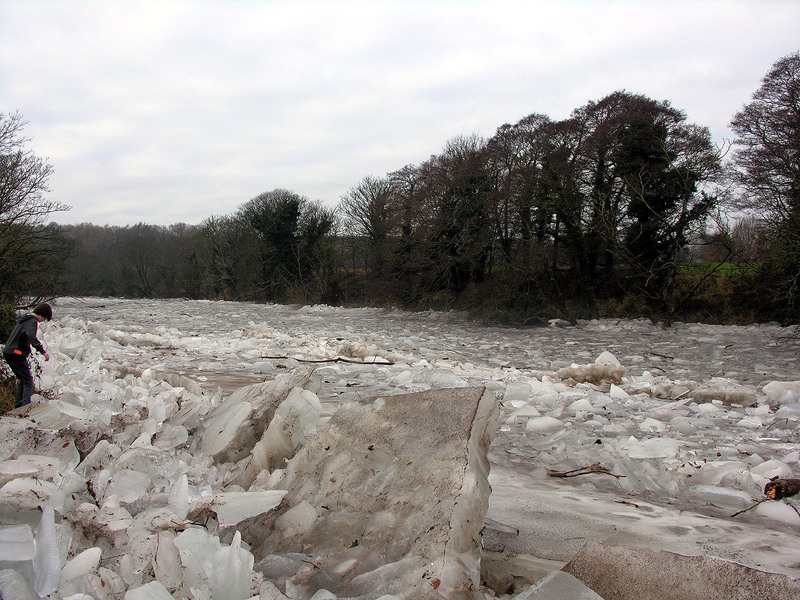 This time the river level was nowhere near as high when the thaw came, perhaps causing the back up of ice at The Stepping Stones. 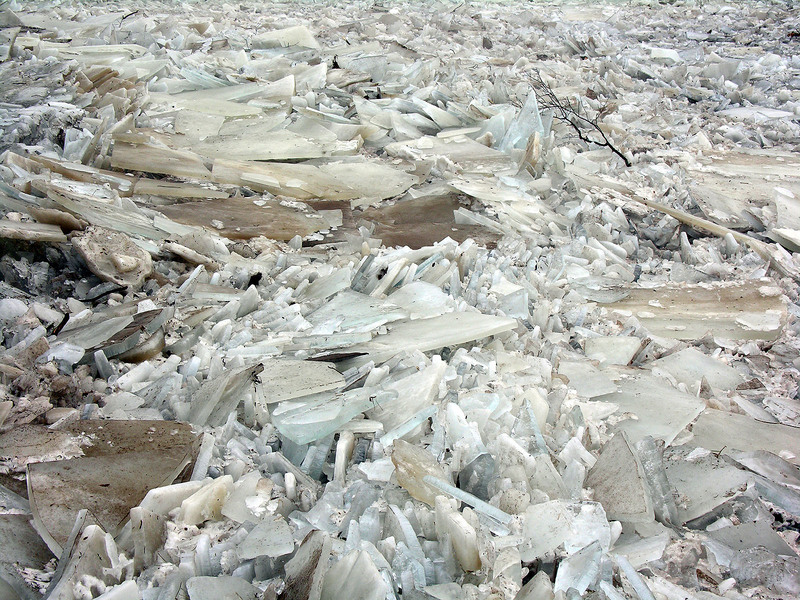 Last winter's fast thaw and ice break up happened at night, and no decent images were able to be taken. 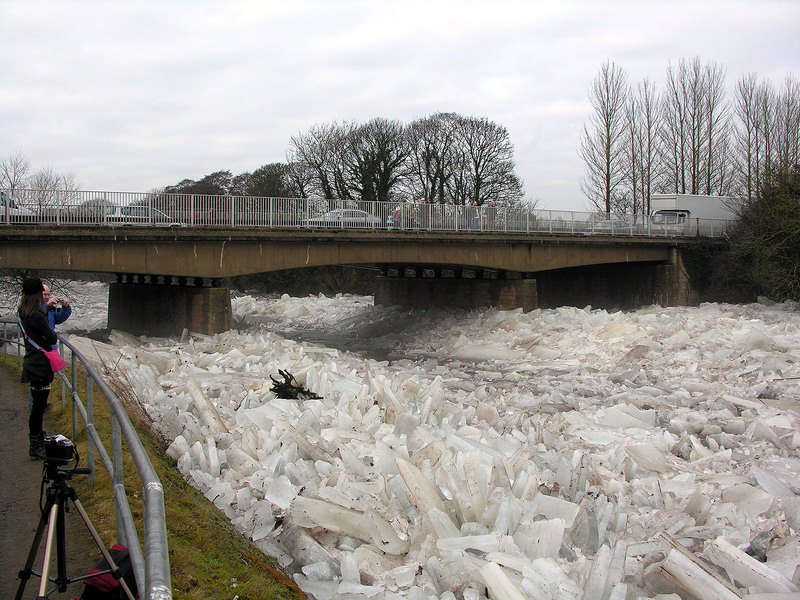 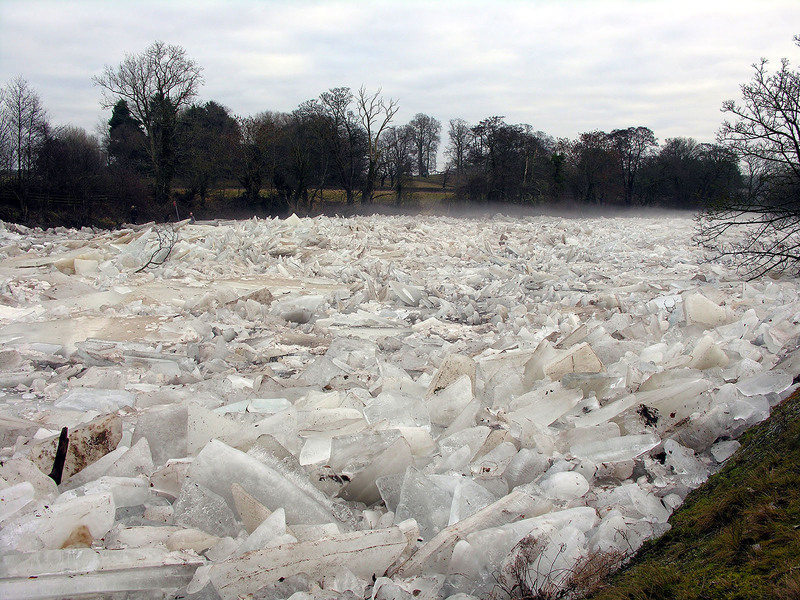 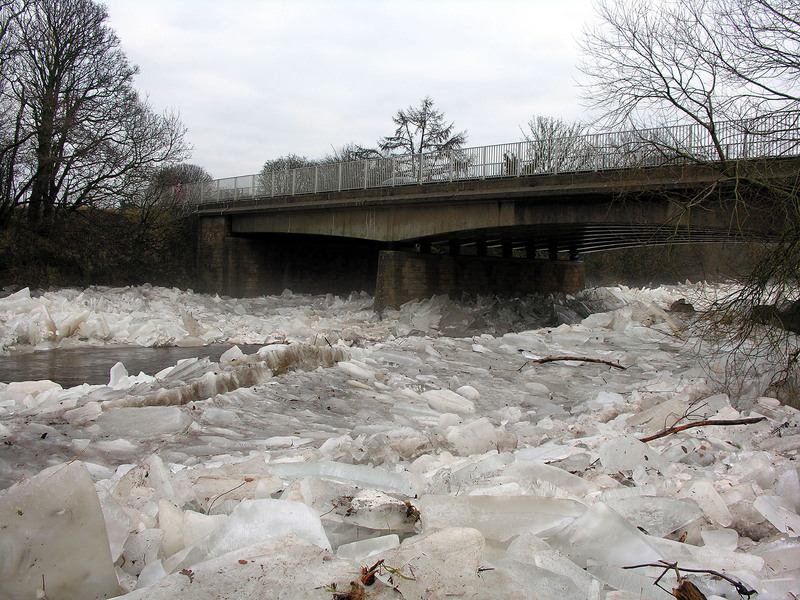 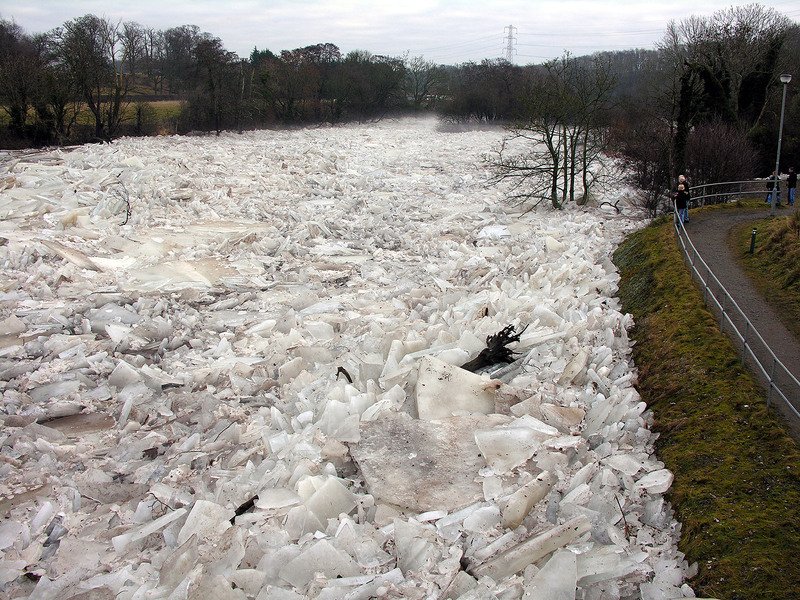 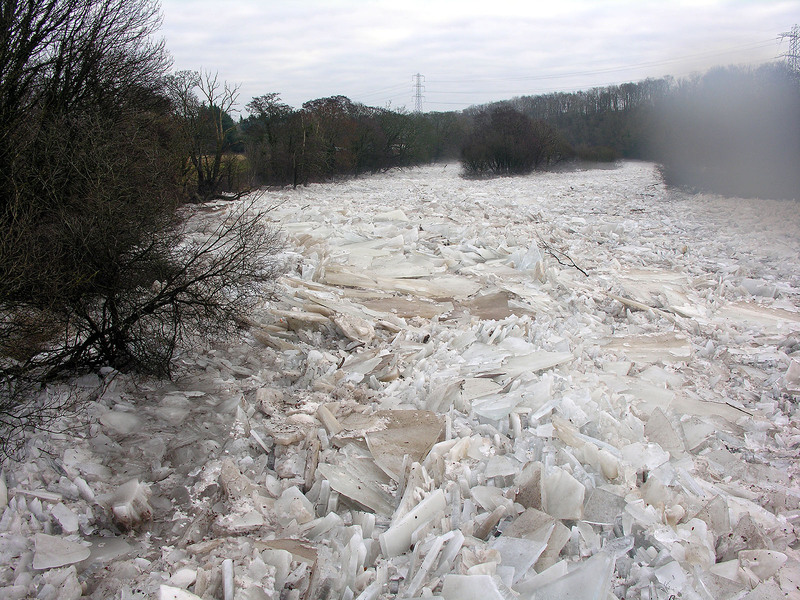 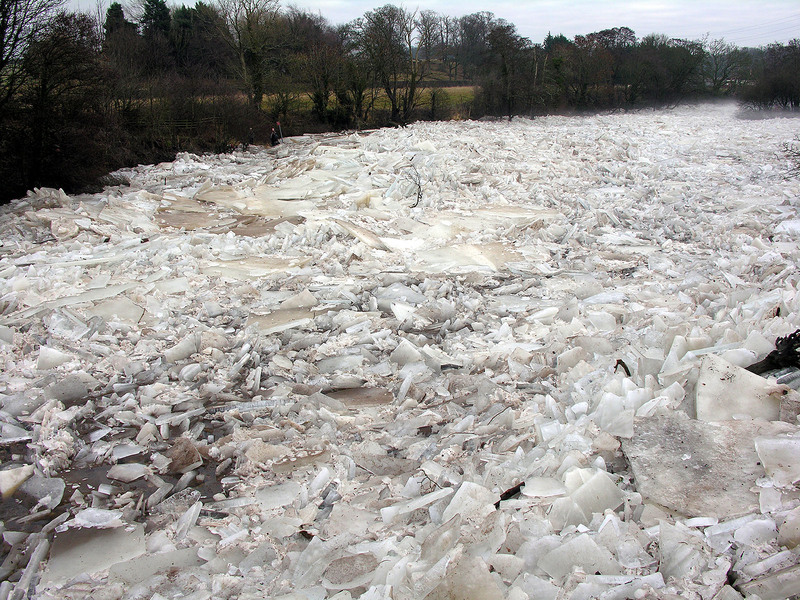 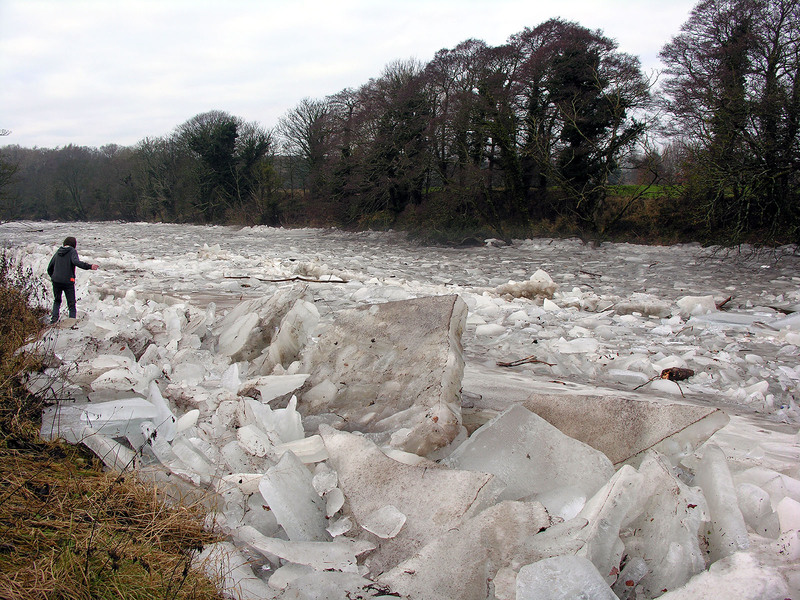 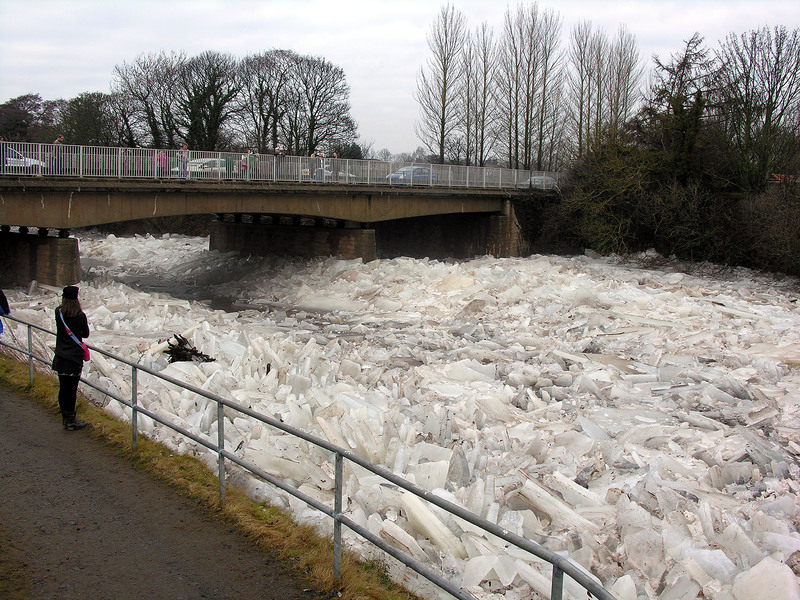 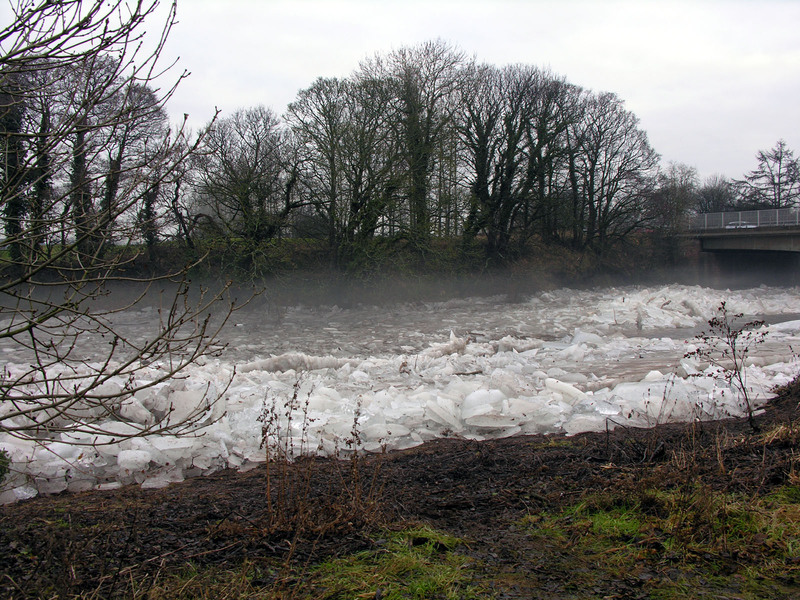 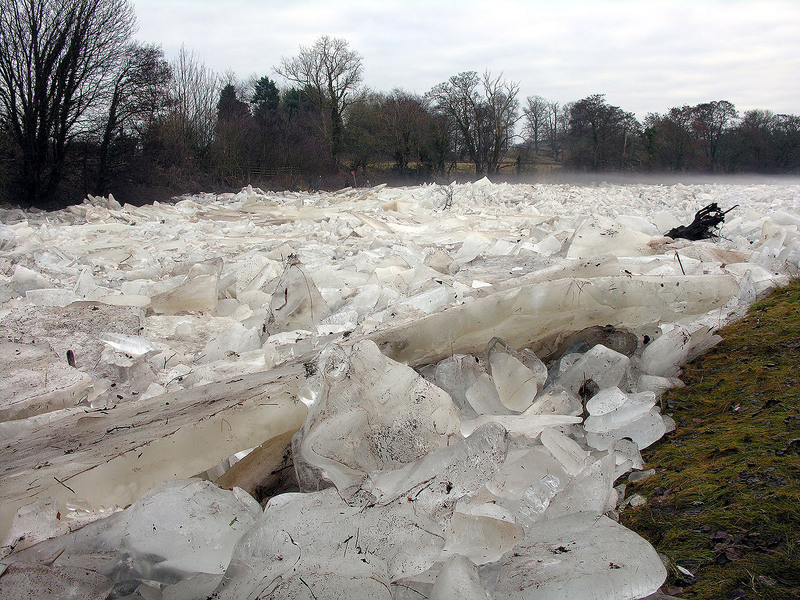 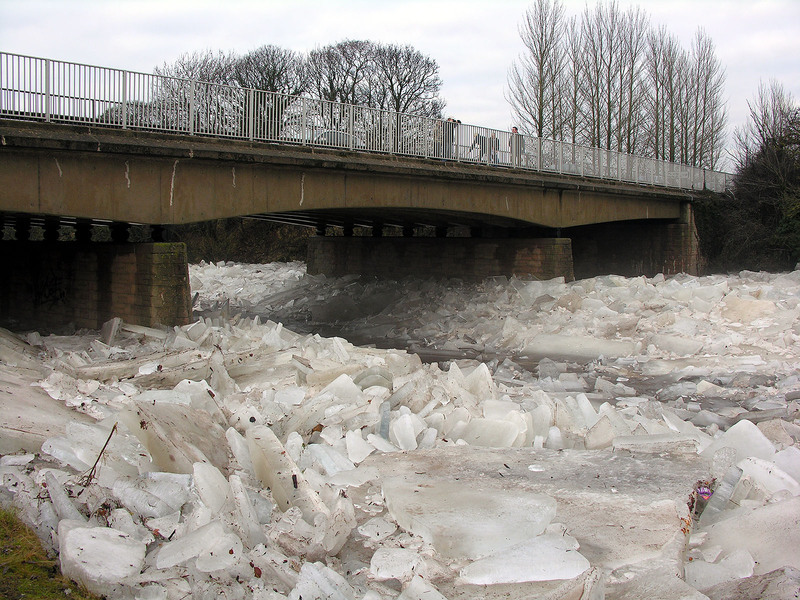 So 2010 is the year the River Ayr was frozen over and easily bearing not once, not twice, but including last January's cold snap, three times!!! 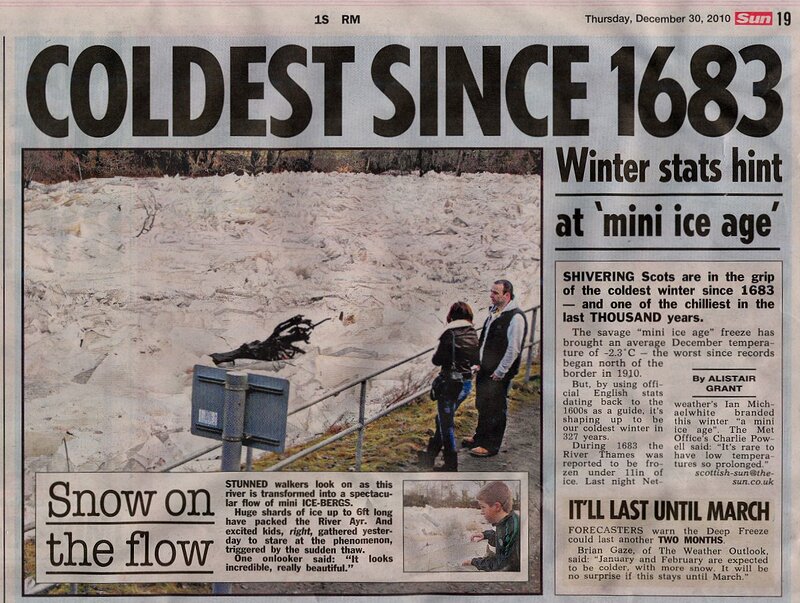 The sight of the ice made the national news rags, including the SUN, and the Herald. 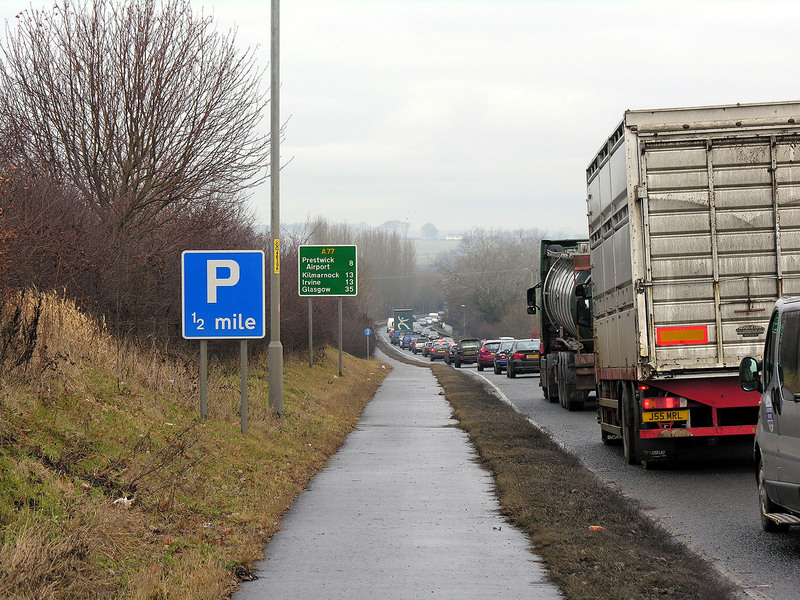 The focus on one of the reports was that the traffic was coming to a standstill as everyone slowed down to have a look over the bridge. 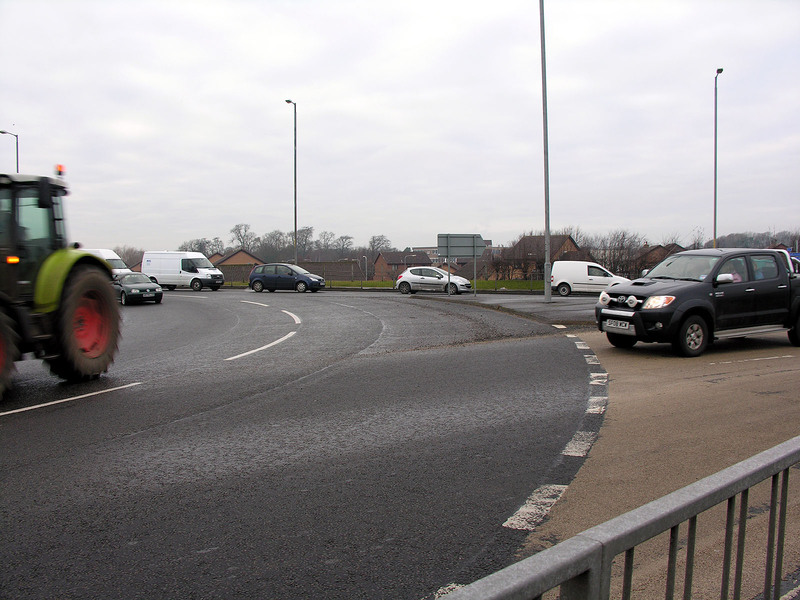 This was a by pass, and as seen on the first image, was tailed right back onto the roundabout at times!! 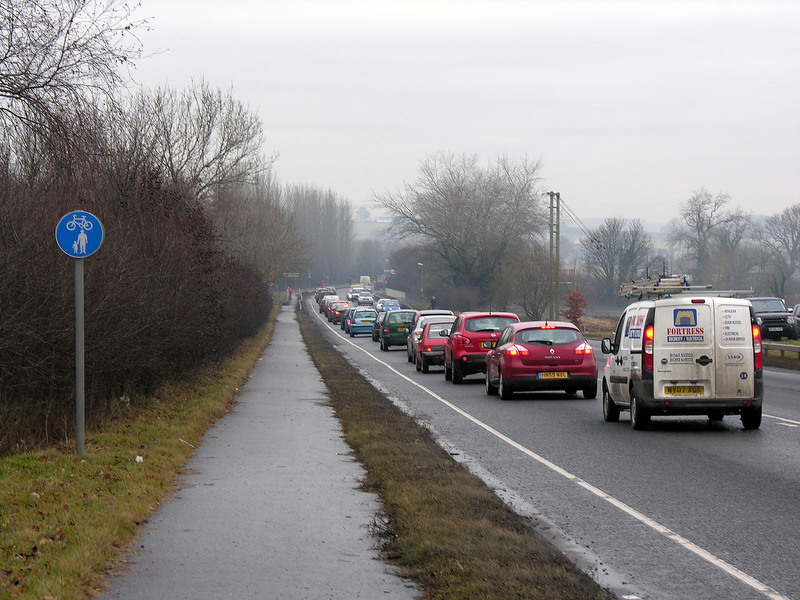 The traffic heading to the right was at a stand still..
NB: The ice pack here is 100% stationary. 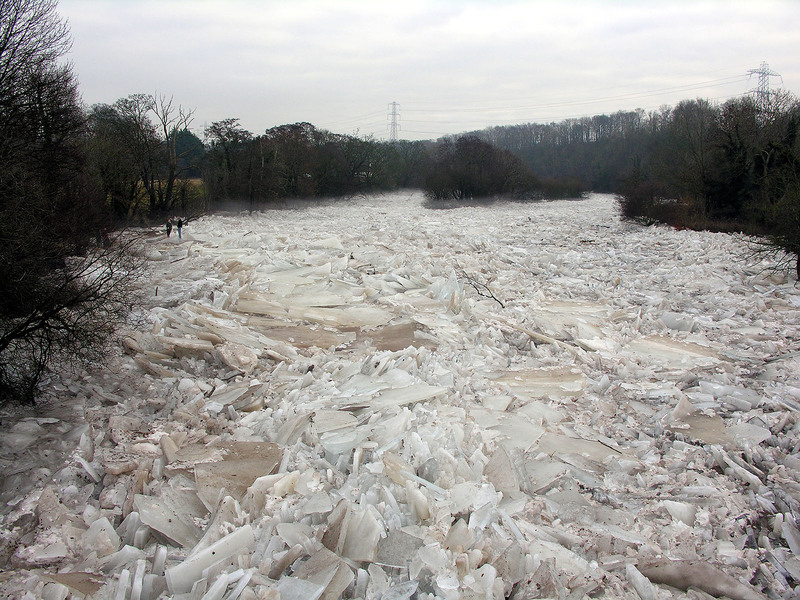 Towards the mouth of the River Ayr from the bridge, the views were less spectacular, and as you walked farther down stream, the ice had been broken up, and refrozen again. 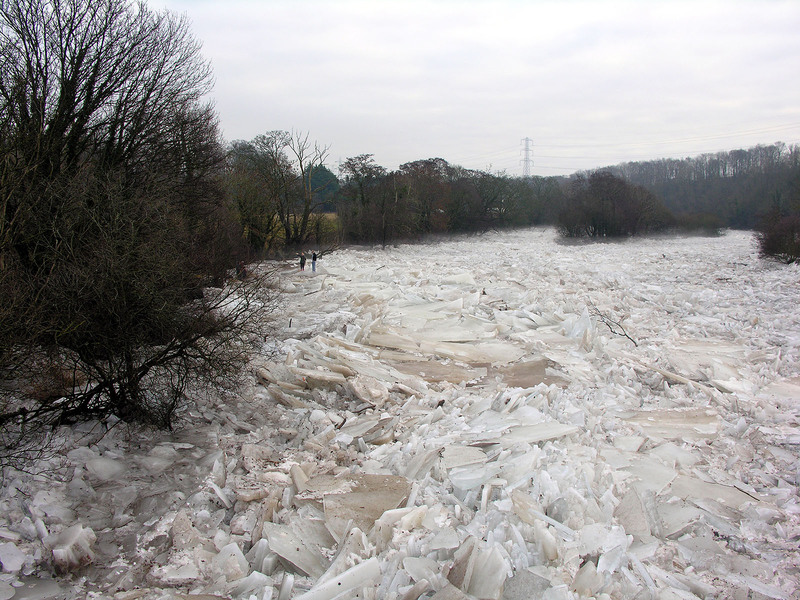 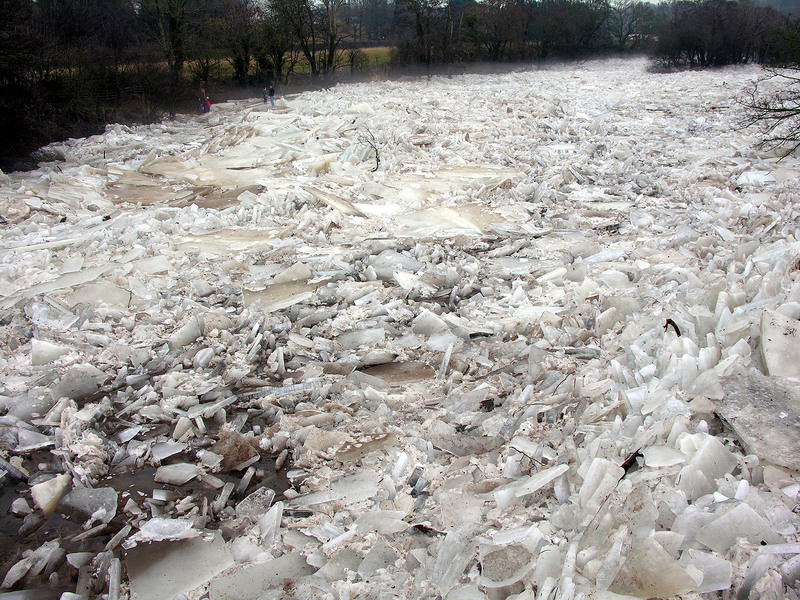 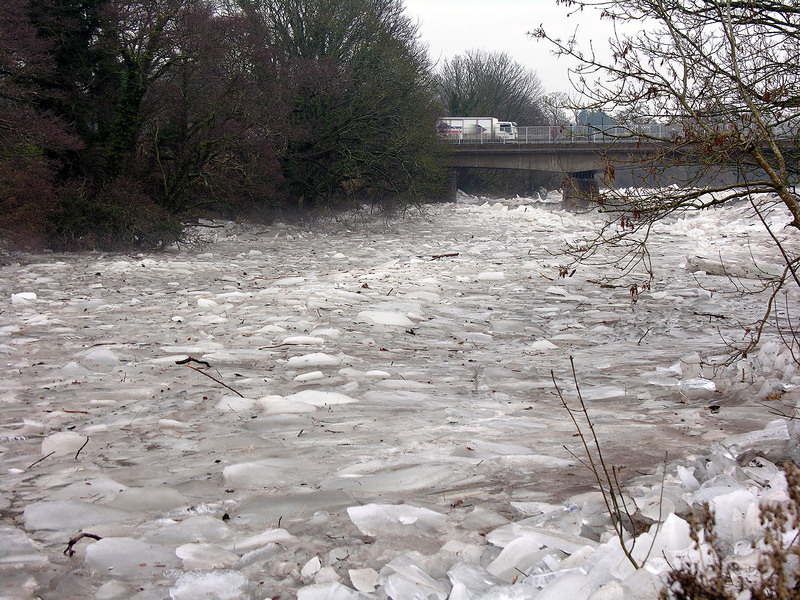 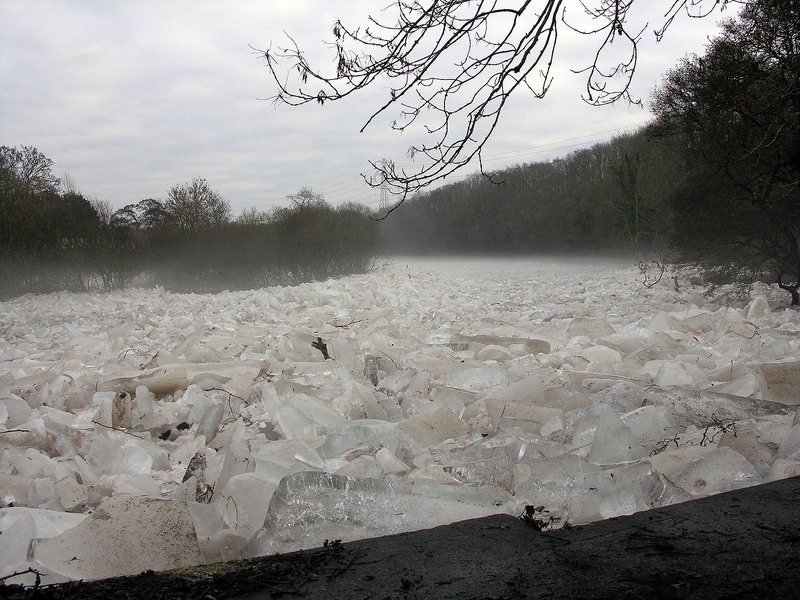 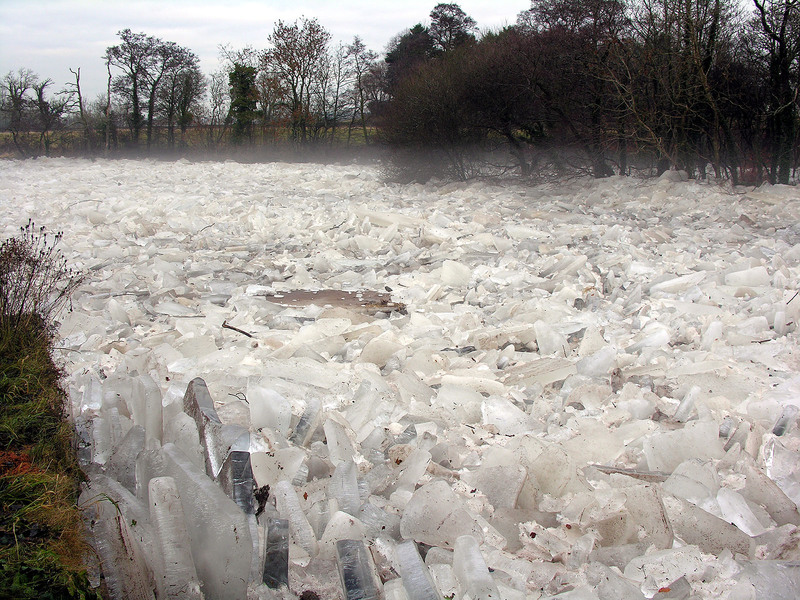 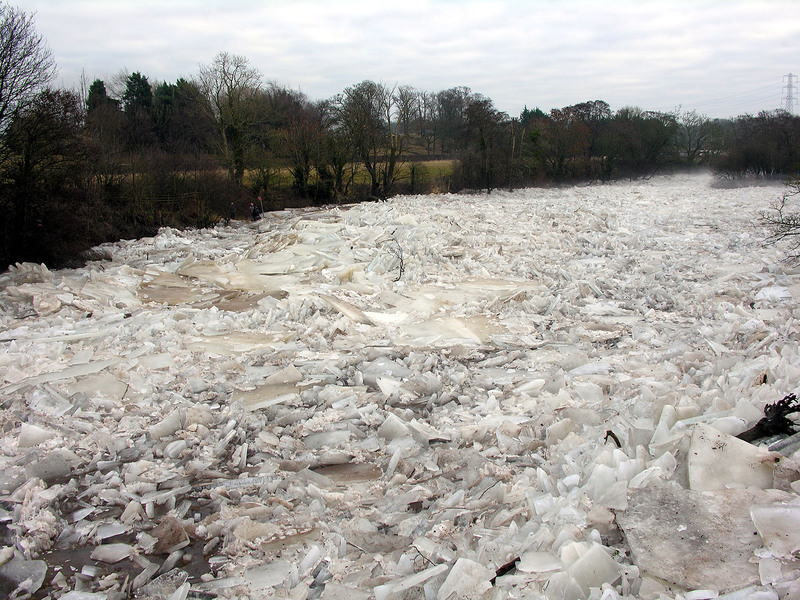 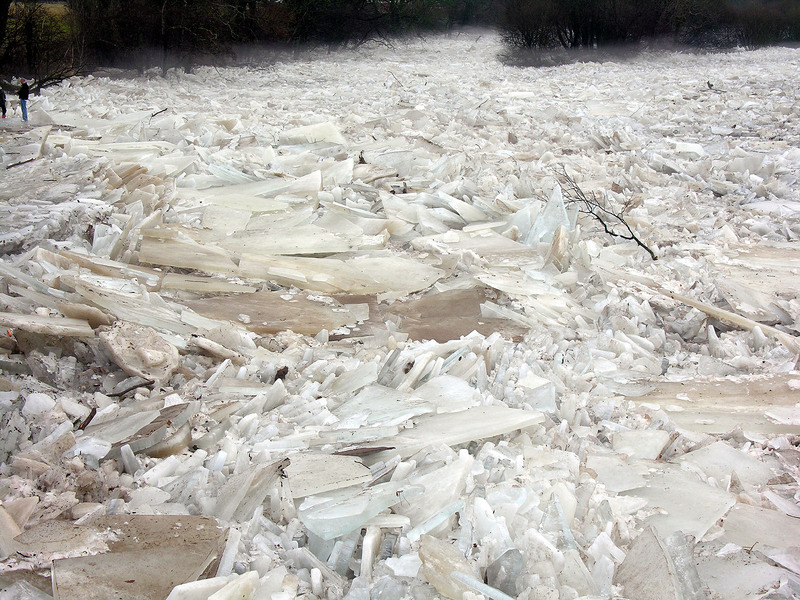 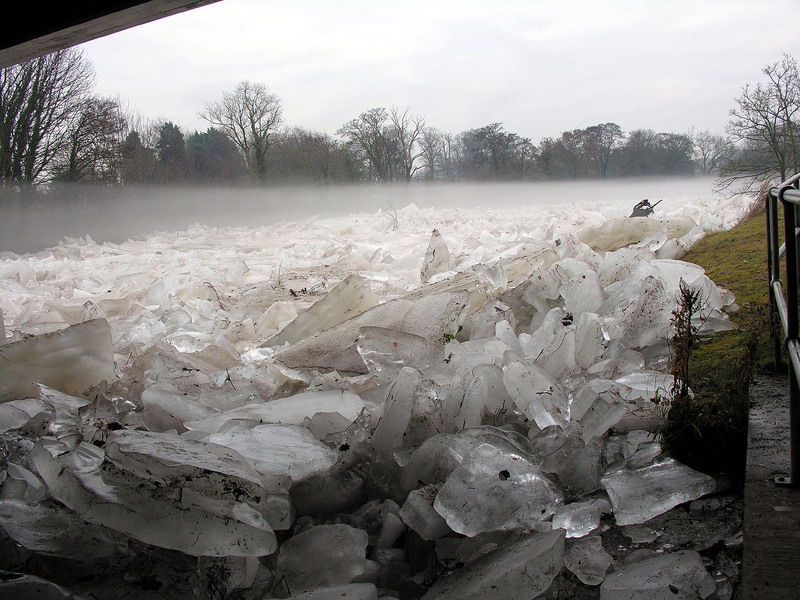 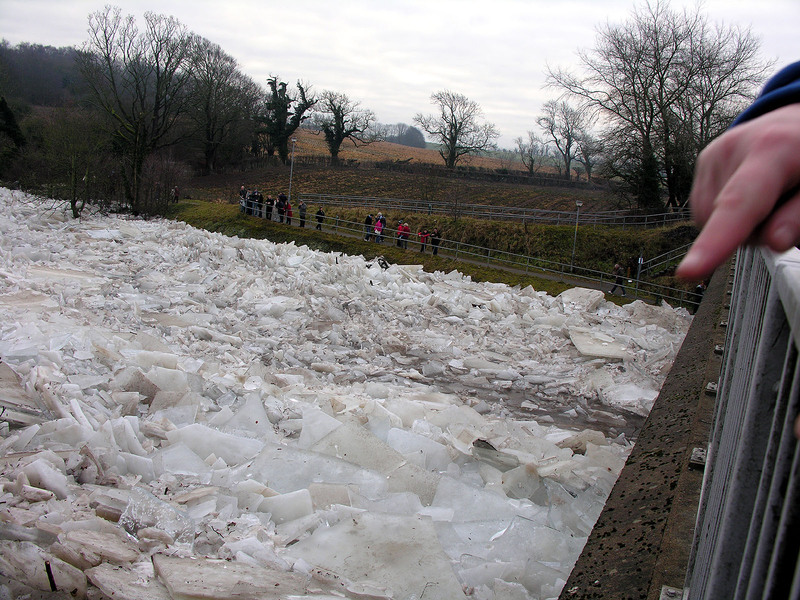 Upstream from the by pass bridge was where the ice looked like something from a BLUE PLANET documentary. 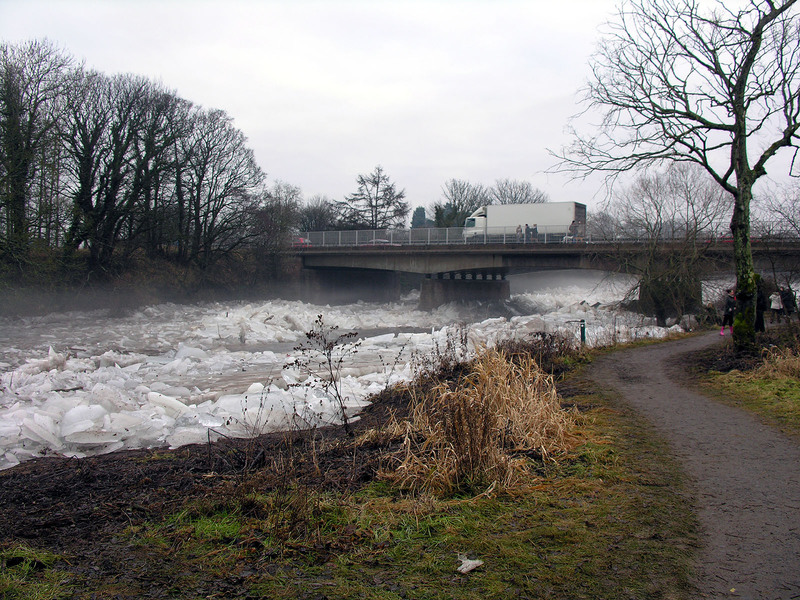 The River Ayr Walk or River Ayr Way as it is known, does not come down this side of the river. 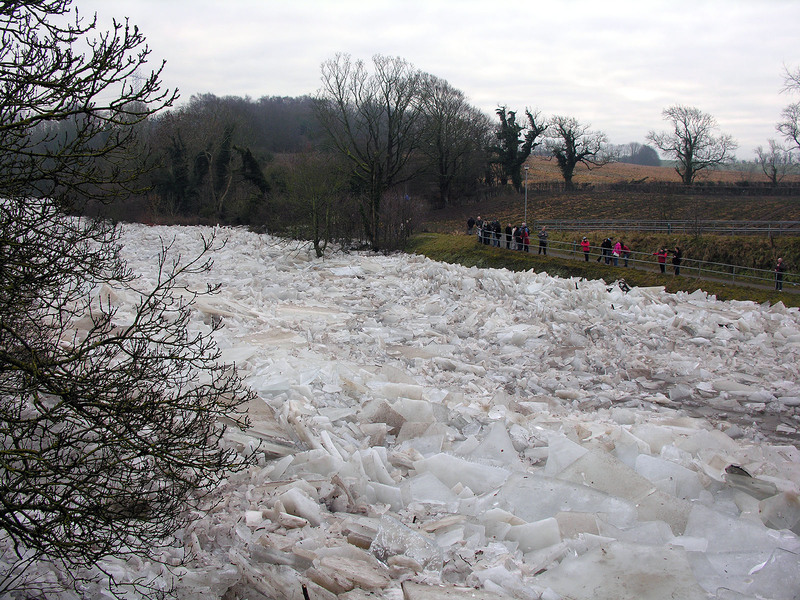 Therefore, it was quite messy trying to walk upstream from here. 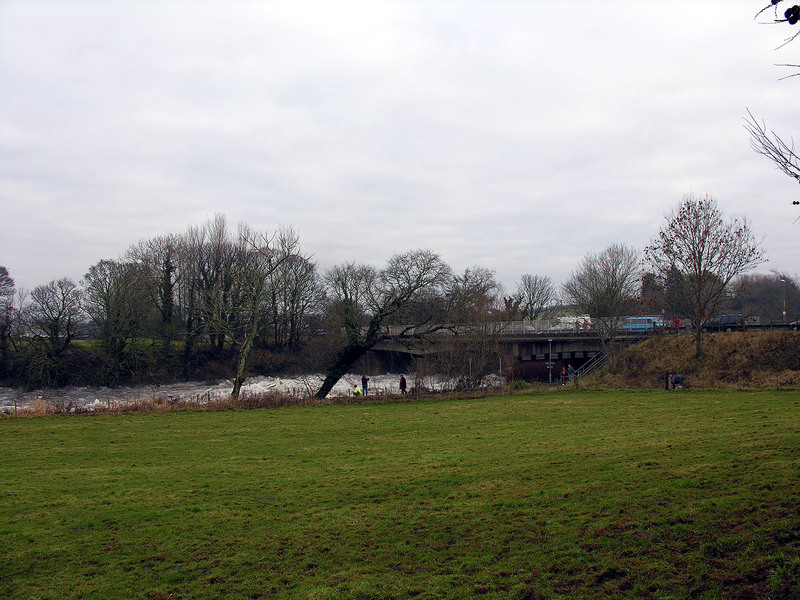 The other side of the river, the North side, is seemingly where the River Ayr Way comes, along the country road leading from Auchincruive. 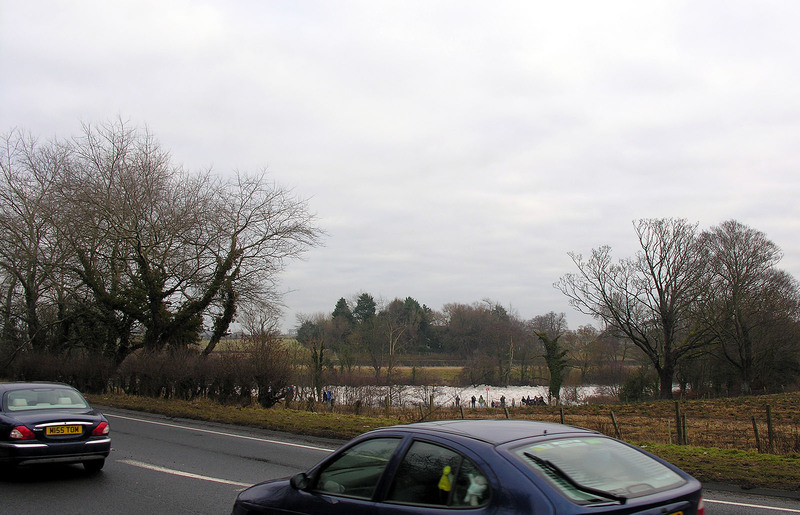 This road is some distance from the river, or at least the short part of it that we walked certainly was. 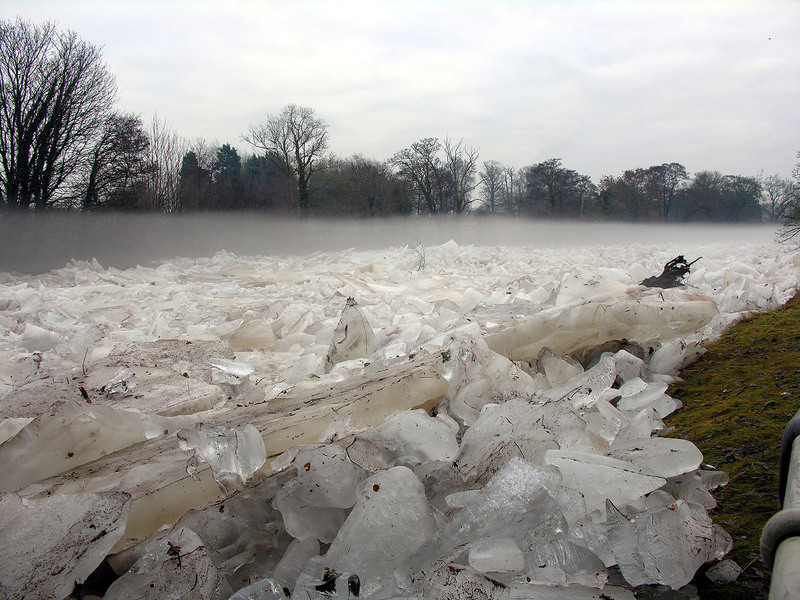 Some of the above images show an eerie mist rising from the ice.